The Dirt Track at Charlotte will double the amount of dirt-flying excitement coming to America’s Home for Racing in May. 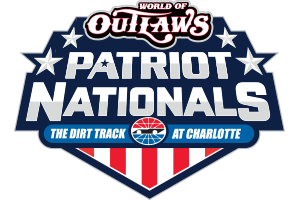 The the Patriot Nationals, a two-day event May 24-25, featuring the stars of the World of Outlaws NOS Energy Sprint Cars will headline a Friday-Saturday smorgasbord of sprint car excitement less than 24 hours before the green flag for the 60th running of the Coca-Cola 600. Look for some of the most exhilarating competition in the history of The Dirt Track, as each Patriot Nationals sprint car feature pays $15,000 to win and $1,000 to start – making The Dirt Track at Charlotte the host of the richest sprint car event in the Southeast!